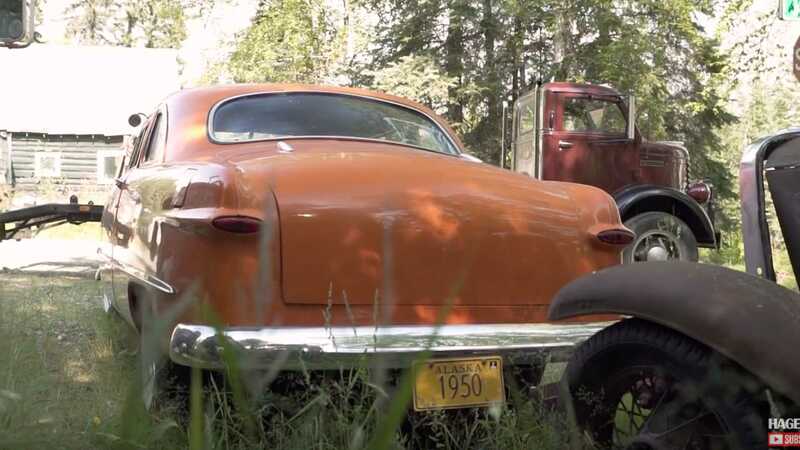 In the vast forests of Alaska, you wouldn’t expect to find much of anything unnatural. Yet, for John McDonald, filling a clearing with eight-decade-old American metal seems to come naturally. 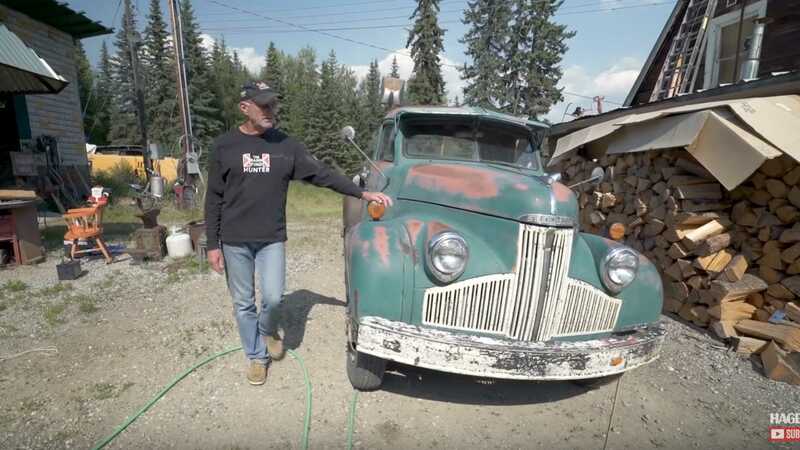 Over his 31-years of living in North Pole, Alaska, McDonald has acquired quite the collection; ranging from Studebakers to old Ford hot rods and even a WWII era ambulance. 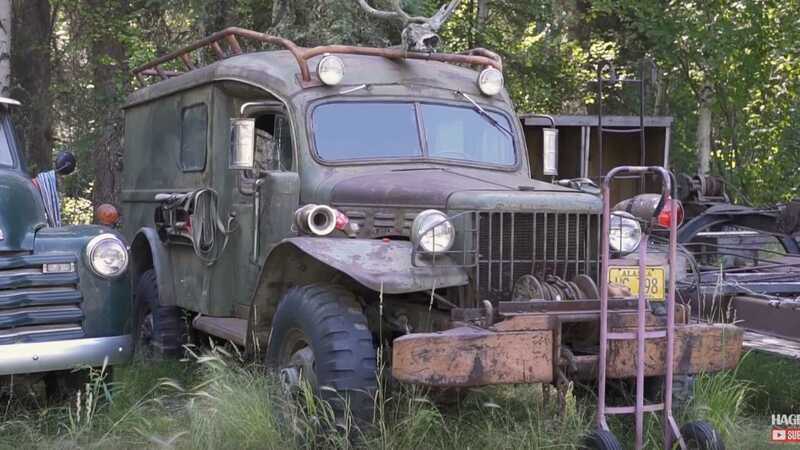 The last one looks like something straight out of Jeepers Creepers. But with a bucket list that changes every week, he realizes that there just isn't time to deal with all of his projects. Therefore, just about everything in his yard is for sale. 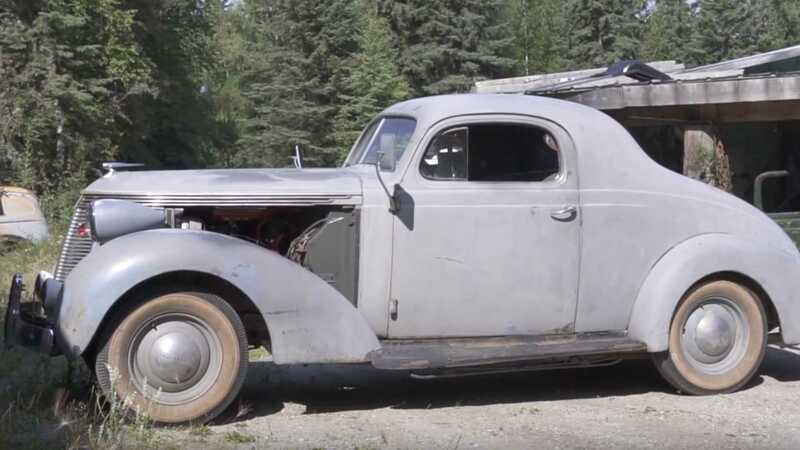 After meeting John McDonald a few weeks earlier at a Fairbanks car event, Barn Find Hunter host Tom Cotter makes the drive down the gravel lane leading to McDonald’s place – where he finds the antique collection surrounded by the spruce filled forests of Alaska. 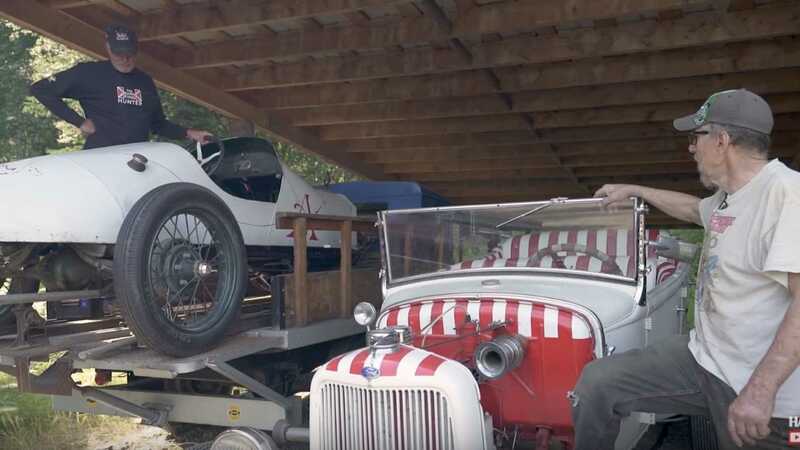 McDonald and his puppy, Banjo, are waiting to show off his collection of cars and trucks to a host that has his doubts of hearing anything actually run. Amongst McDonalds collection is a red and white 1957 Ford Ranchero packing a 312 V-8, a red 1960 Studebaker Champ truck, a 1932 Ford 1.5-ton dually, a ‘33 pickup, and quite a few more classic Studebakers. Much to Toms surprise nearly all of the aging automobiles start right up with a turn of the key. 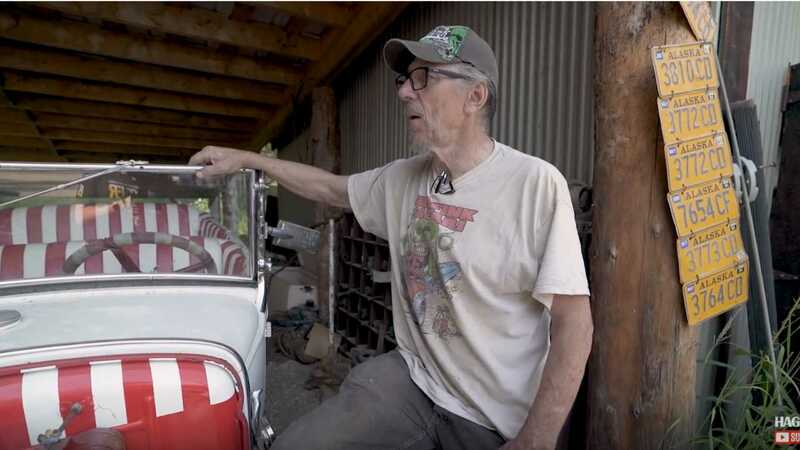 It is obvious from the sound of them that McDonald puts a lot of effort into maintaining the mechanical aspects of his cars, and gets a lot of enjoyment out of driving them around. With Banjo sitting on the bench seat next to him.